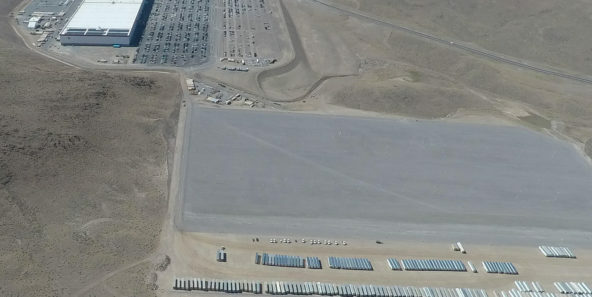 Aerial photographs obtained by Teslarati have revealed that Tesla’s expansive new parking lot in Gigafactory 1 is practically complete. 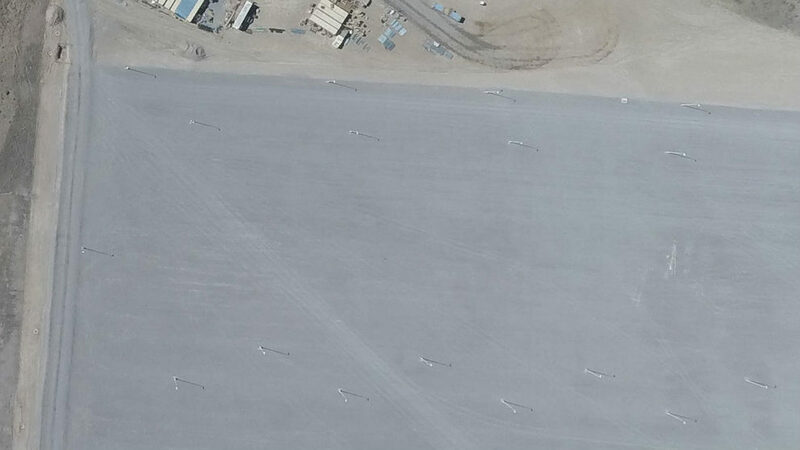 As seen in the latest images, which we obtained on June 1, Tesla is done overlaying its new lot with asphalt, and numerous electric posts now stand in the area. 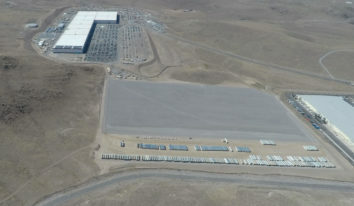 Tesla started moving the land north of Gigafactory 1 sometime in March. 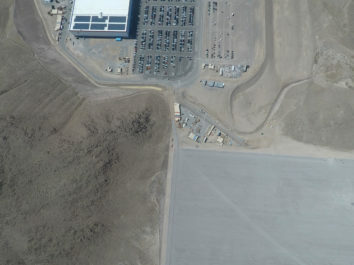 As noted by avid members of the r/TeslaMotors community then, the new parking lot appears to be around 2,000 x 1,500 ft (roughly 600 m x 470 m). 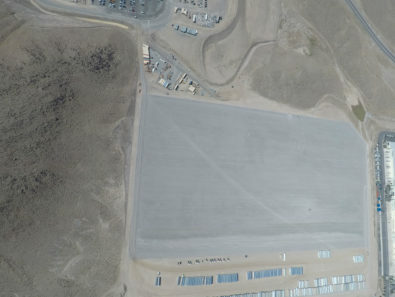 The massive parking lot seems to have been developed quickly as well, as aerial images captured a few weeks after initial reports of the project indicated that Tesla was halfway done overlaying the new lot with asphalt. 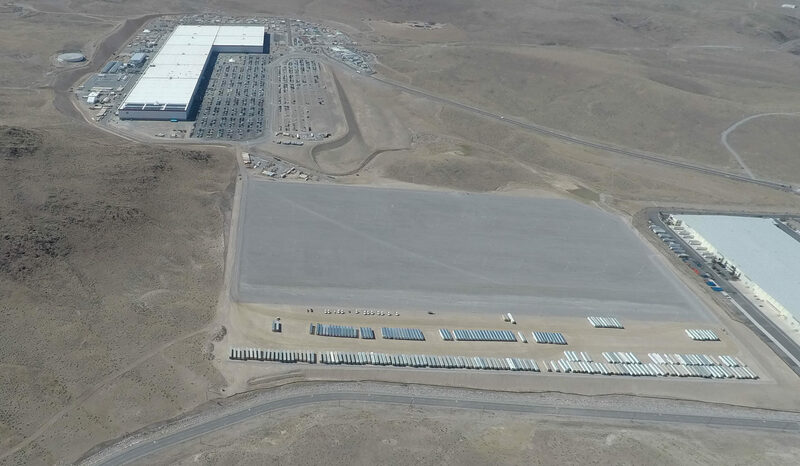 Overall, the latest developments in Gigafactory 1, together with the installation of solar panels at the facility’s roof, underscore increased activity within the factory itself. 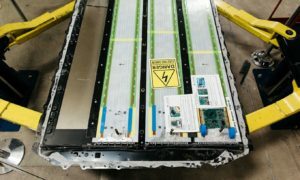 The site, after all, is working around the clock in order to ramp up production of the Model 3’s battery packs. 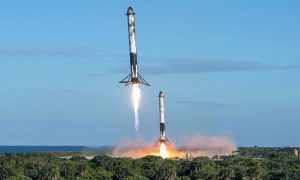 Just last week, reports emerged that Tesla has flown in six airplanes’ worth of new robots and equipment from Europe, the first two of which had reportedly been delivered at the Sparks, Nevada facility. 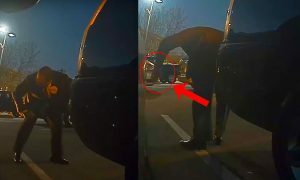 According to people familiar with the matter, the deliveries of the robots were done “in a massive hurry.” One of the individuals, who spoke to Reuters, further noted that engineers from Grohmann, Tesla’s engineering arm in Germany, were also in Gigafactory 1 to help address production bottlenecks in the Model 3 battery pack line. The Model 3 production ramp is Tesla’s primary objective this second quarter. 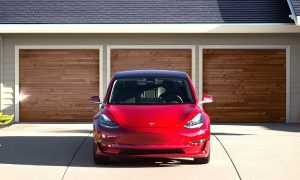 Despite missing its goal of producing 2,500 Model 3 per week by the end of Q1 2018, Tesla has nonetheless maintained its expectations of producing the compact electric car at a rate of 5,000 per week by the end of Q2 2018. 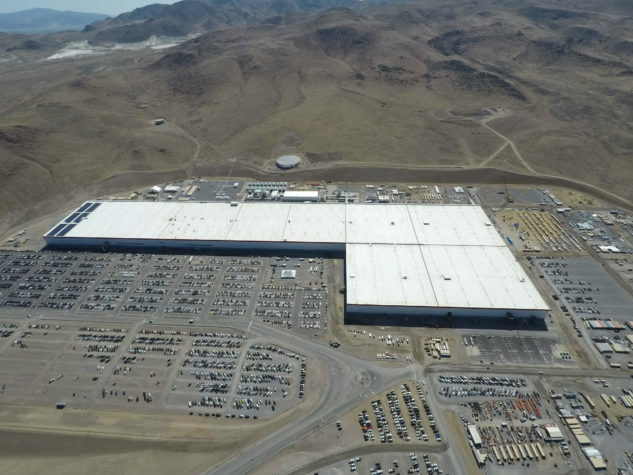 In order to accomplish this elusive goal, both Tesla’s Fremont factory and Gigafactory 1 have to work at optimum efficiency. Recent signs of the developments in the Model 3 production line have been encouraging so far. In May alone, Tesla registered more than 18,000 new Model 3 VINs, a number that took the company until March to achieve, despite starting the production of the vehicle mid-2017. Apart from this, a leaked email from CEO Elon Musk to Tesla employees also revealed that the company has been producing the Model 3 at a consistent rate of 500 vehicles per day, or roughly 3,500 per week. 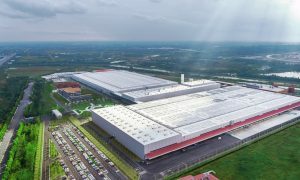 Establishing its next Gigafactory in China is a strategic move for Tesla, considering that Elon Musk has specifically mentioned during Tesla’s Q3 2017 earnings call last November that the upcoming facility will be tasked with manufacturing the next vehicle in Tesla’s lineup — the Model Y, an all-electric, crossover SUV that is expected to have a demand that surpasses even that of the Model 3.